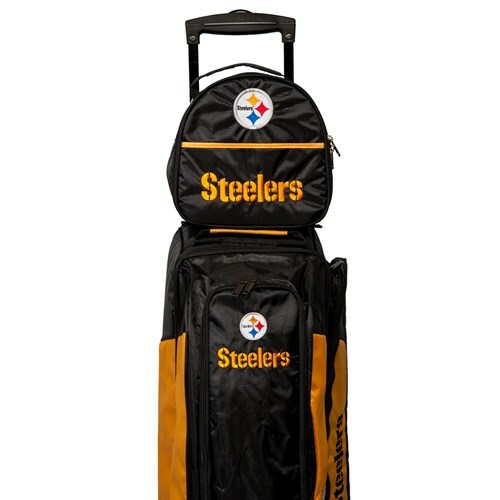 Show your team pride with an NFL Add-On bag. This extra bag straps onto the extended handle of any wheeled bag and can hold one bowling ball. 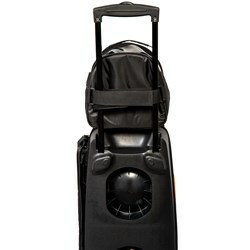 This bag can also be carried independently of a roller bag using the top carry handle. 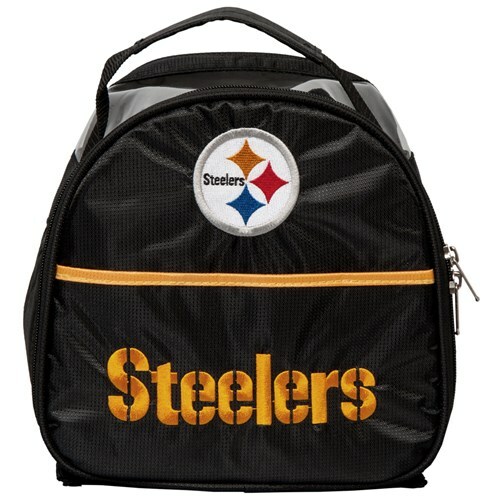 The transparent panel on the top allows you to easily identify which bowling ball is inside. 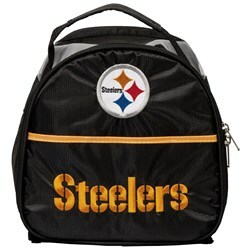 Due to the time it takes to produce the KR Strikeforce NFL Add-On Pittsburgh Steelers ball it will ship in immediately. We cannot ship this ball outside the United States.